Wouldn’t it be great if your Ricoh Theta could get new features as easily as you can get apps for your smartphone? That’s the idea behind the new plug-in program for the Ricoh Theta V announced by Ricoh at CES 2018. Ricoh Theta V is the newest version of the Ricoh Theta, the most popular 360 camera on the market. Besides having excellent quality 4K video with stabilization, the Theta V also runs on Android OS and has the ability to add new features via plug-ins. The first plug-in for the Theta V is already built-in and it enables you to watch 360 photos and videos from a Theta wirelessly on a TV, using the Theta V as a motion controller to change the view of the 360 photo or video. As cool as this plug-in is, this is just scratching the surface of the many possibilities for the Theta V.
And now at CES 2018, Ricoh is formally launching the Plug-in Partner Program, which creates an online market place for plug-ins for the Theta V. I’m interested to see what kinds of plug-ins will become available for the Theta V. What about you? Are there plug-ins that you’d like to see? Let me know in the comments! LAS VEGAS (CES 2018, South Plaza, Booth #64704), January 8, 2018 – Ricoh today announced the RICOH THETA V Partner Program, which will launch in spring 2018. 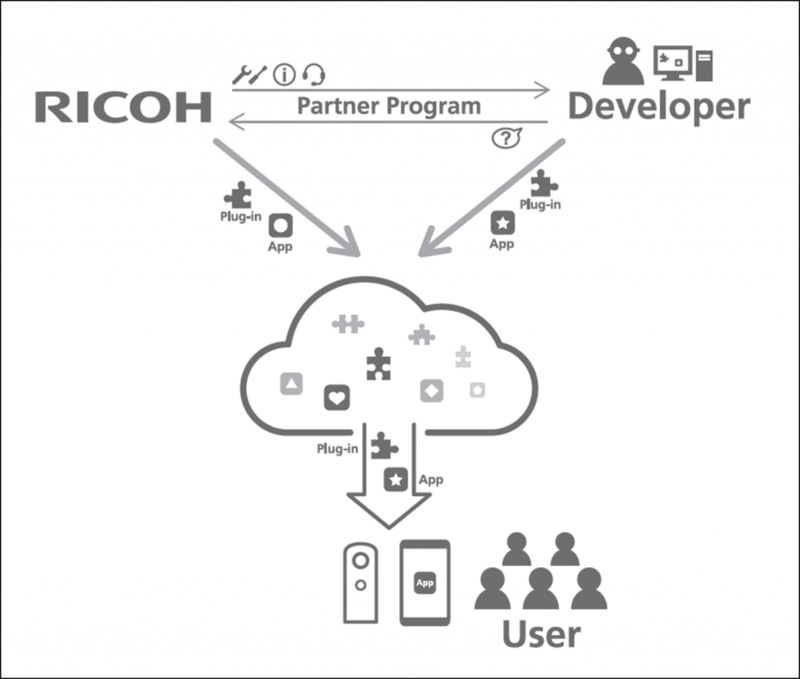 The new program will support third-party developers interested in creating their own Android™-based plug-ins for the RICOH THETA V, the top-of-the-line Ricoh 360-degree camera capable of capturing fully-spherical photos and 4K video. The program will be featured at CES 2018, where attendees will be able to get a hands-on experience creating their own plug-in, resulting in the creation of a new feature for the RICOH THETA V camera. Android is registered trademark of Google Inc.